1,186 posts - Hot topic! There have been 560 images uploaded to this topic. (View topic image gallery). There are 1186 posts in this topic. You are on page 9 of 24. Transformers LE Decepticon in the marketplace. Pinfest delivery no problem. Have a Jurassic Park for sale or trade. Prefer a deal to be made beforehand. $2900. MSG me for more details. Shadow listed in the Market that I can deliver to the Allentown show with a $100 deposit. 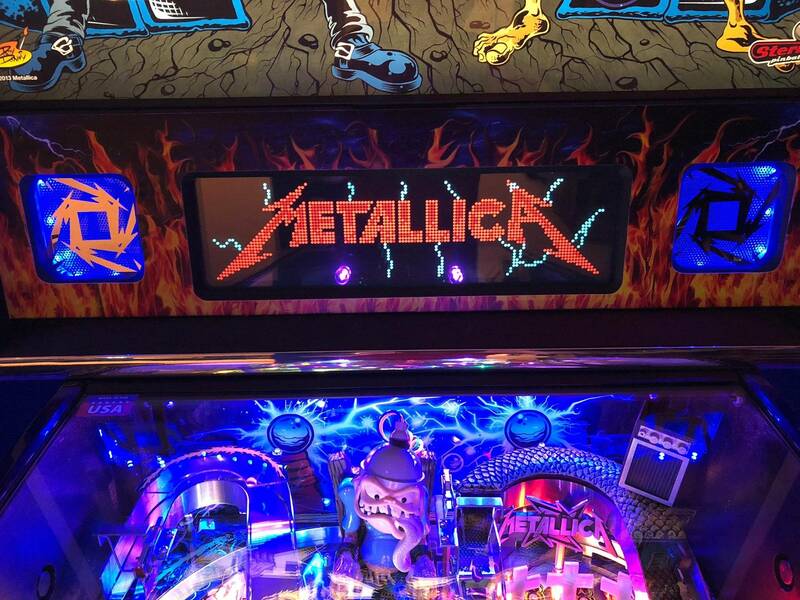 Arguably the best pin ever made! Someone should scoop this up. 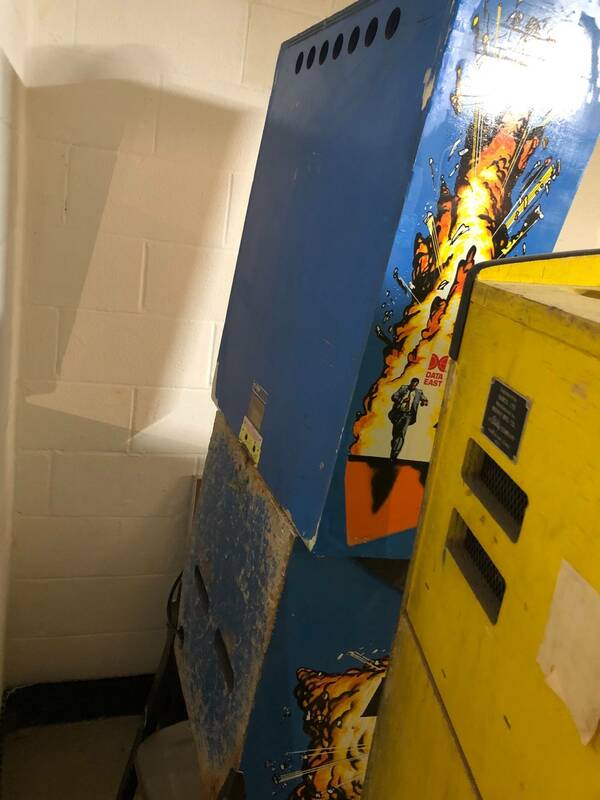 Anyone have a SEGA basketball for sale? I coud bring my Gottlieb Melody. The cabinet has been beautifully redone, backlgass is new. 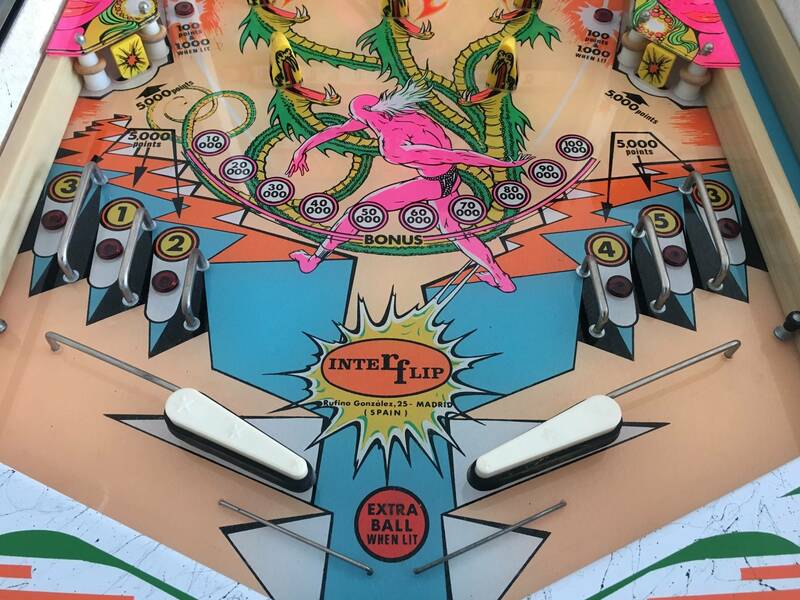 Playfield is original but in nice shape. Game is shopped and works great. May consider others, especially if my wife plays 'em and likes 'em! 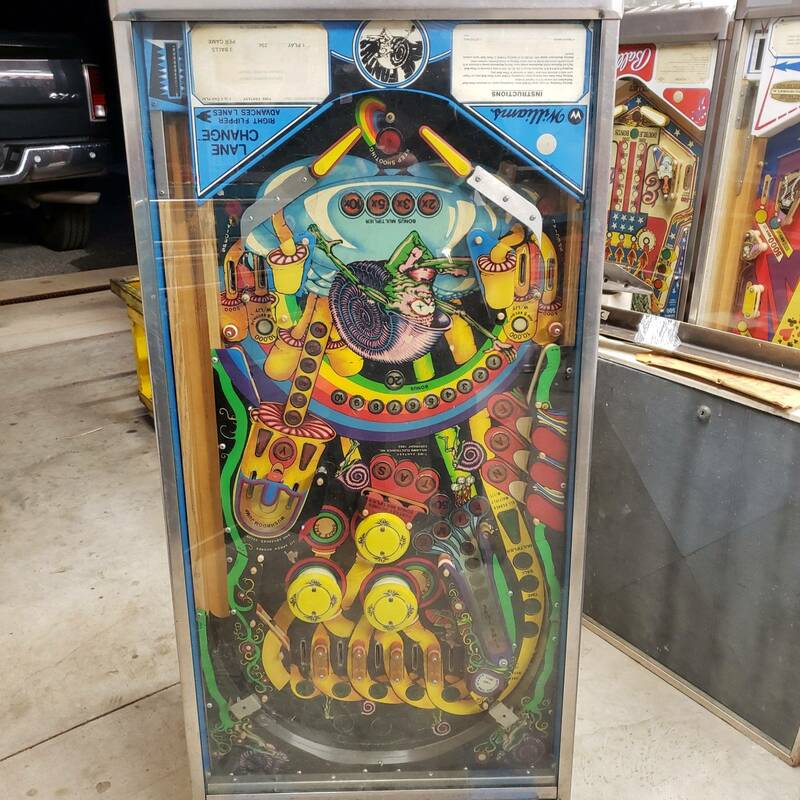 I already have too many projects, so looking for (mostly) playing machines, maybe the upper side of "Players Quality" or better if the price is fair - we don't mind a little character. Not really a big fan of clear coated play fields though... Or LEDs... 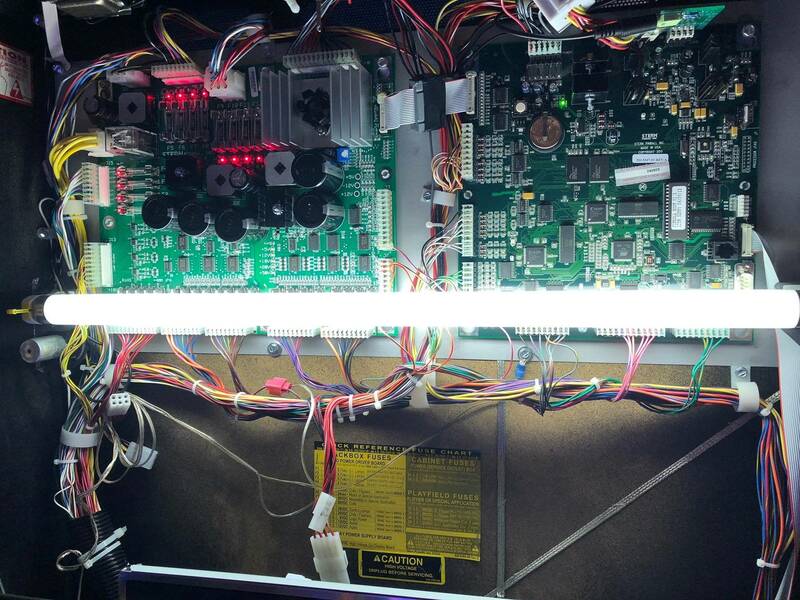 However, there is a happy medium for LEDs, and that's frosted warm LEDs inside pop bumpers and under play fields, and #47 bulbs anywhere the actual bulbs are visible. Price drop on the Sinbad I'm selling to $1150. Can deliver to show. 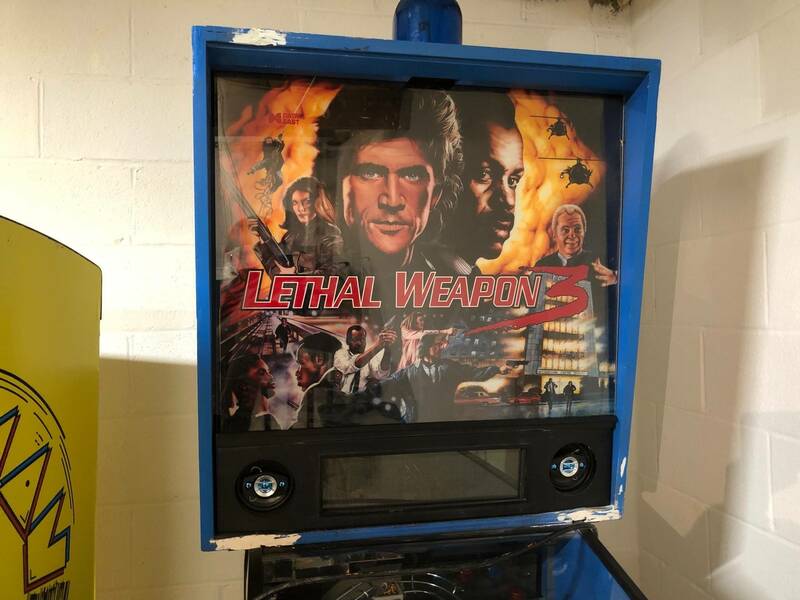 I have a Lethal Weapon 3 pinball project for trade, looking for a different machine. Message me for details. Game boots up but does not start a game. Also comes with extra parts. Slugfest for sale. Has topper and card catcher. Cab has some scratches and wear but little to no fade. Has typical wear at CPO corner. Original manual included. 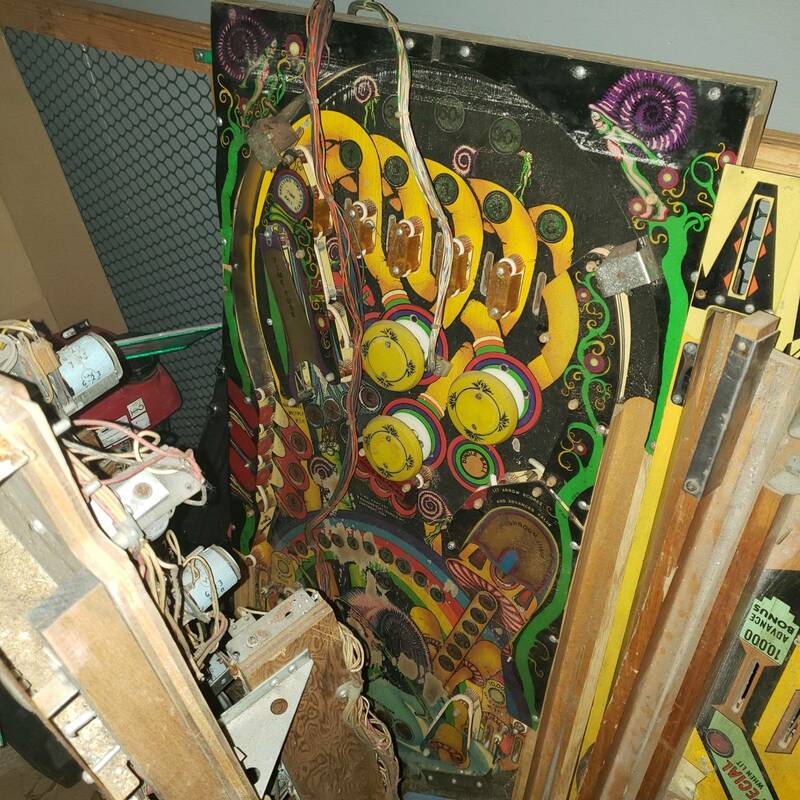 Comes with populated playfield. 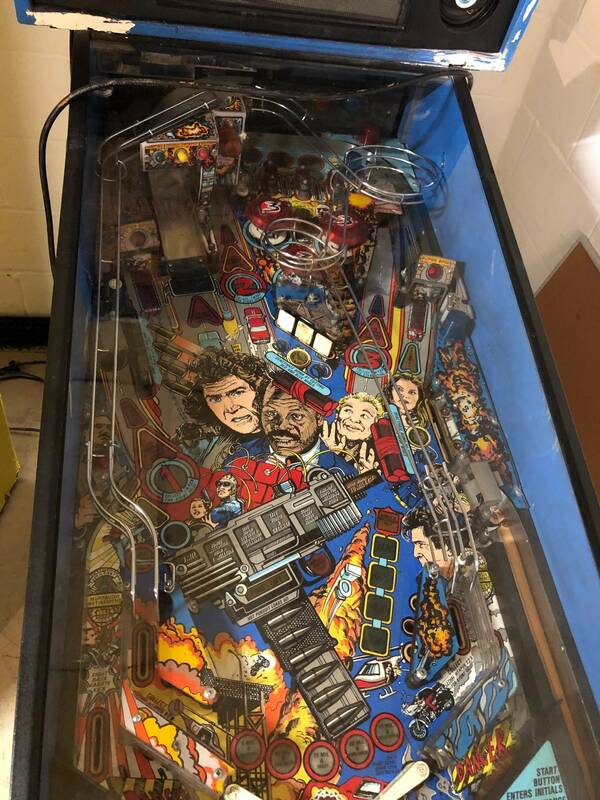 Plastic overlay is warped on spare playfield so it’s a parts playfield but has tons of hard to find parts (ramp mech, bat, pitching mech, magnet, subways, light boards). 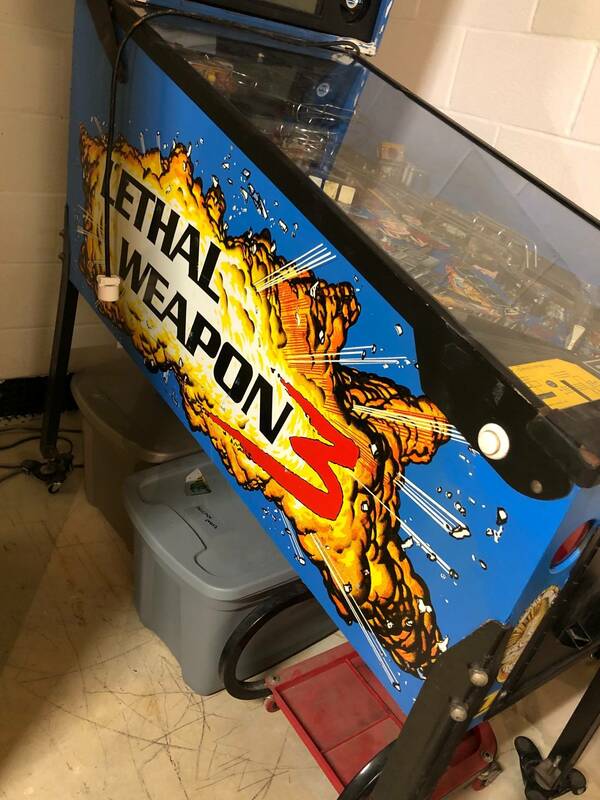 Was going to restore and put this in my game room but I now need the cash. 1700. I cant bring it to the show but I’m only an hour away. 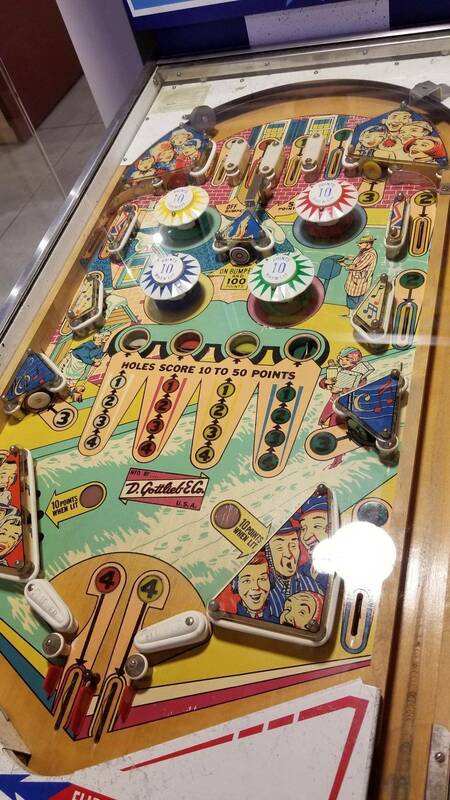 I have a nice rare Gottlieb Excalibur I can bring if pre-sold! 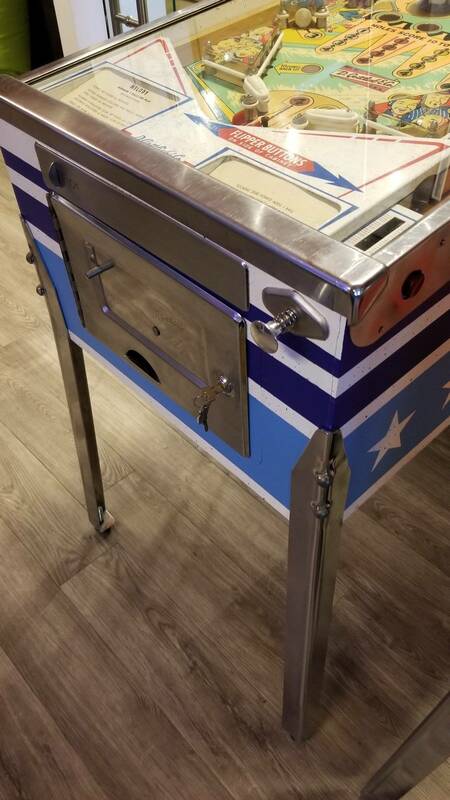 I have a like new cocktail table with 60 classic vids. I bought it new about 10 years ago and it gets played when my grandkids come, and this is not as often as it used to be. 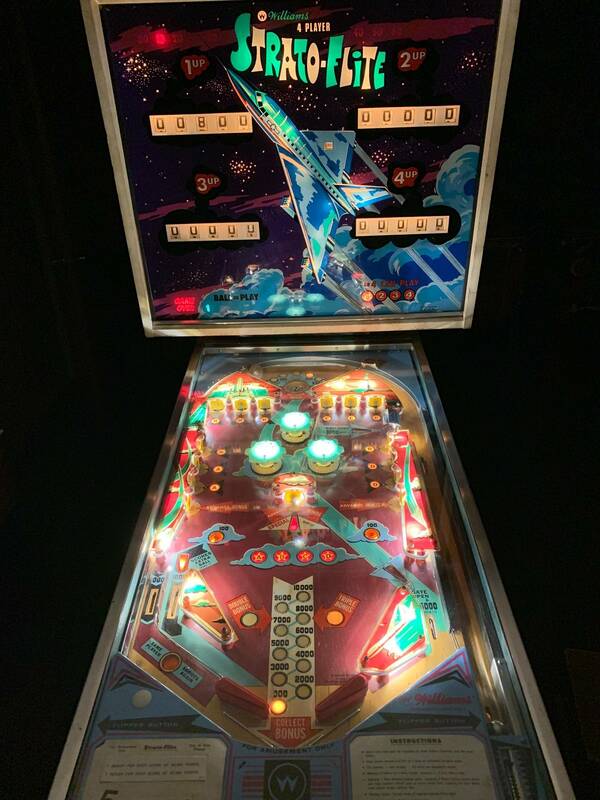 The game is in beautiful condition - woodgrain cab - and plays perfectly. Ms. PacMan logos on top. 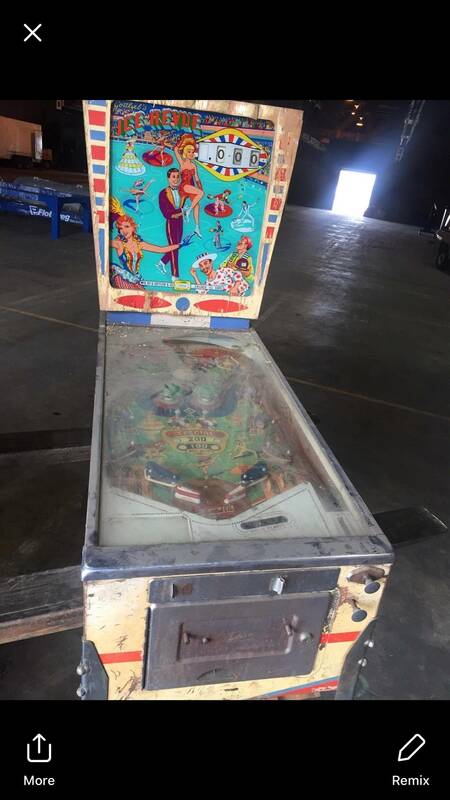 $950 and can deliver to Pinfest with paid deposit. I can send pics, but please contact me via Pinside mail and include your regular email address. I still have my huo Medieval Madness remake - quite a few inquiries, but nothing solid. 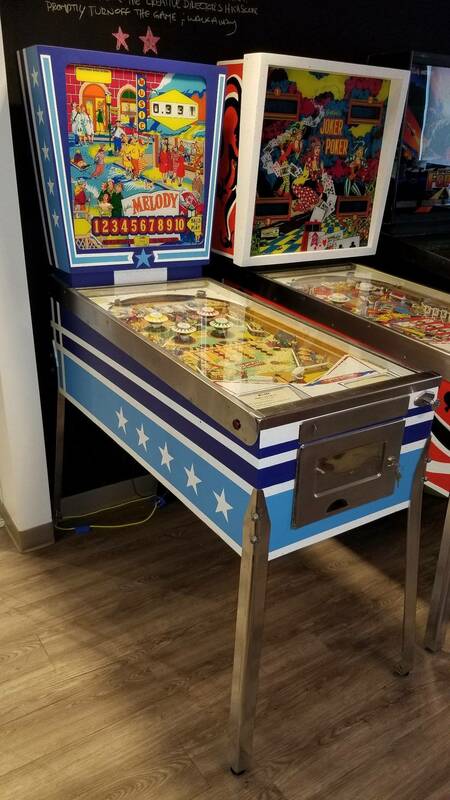 I will lower the price to $7400 (includes shaker and color dmd) and entertain trades, but please understand - I have owned more than 180 pins over the years, and there is very little I still want to have - especially at my advancing age! I am unable to deliver this pin to Pinfest, but live only 15 minutes away from the Fairgrounds. Glad to hold the machine for a small deposit. Looking to purchase one of the above along with acnc. Looking for 1 owner huo or a "great" deal on nib( not looking for the call for best price only to get the listed msrp). If you wanna take my cash hit me up. Thanks. $65 delivered at the show. I have a very nice JY for sale or trade. PM me with any questions or interest. I think bk3 prem are coming out in may so that may be a long shot. Contact Chris and Melissa and see. Medieval Madness remake is sold. 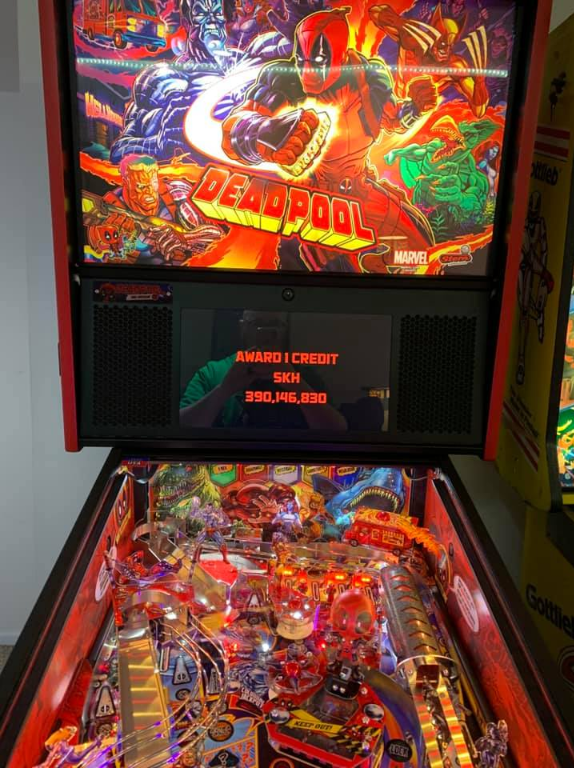 HUO Deadpool Pro will be in the tournament, an for sale for 5200. has shaker, art blades, pinstadium and best of all, a brand new playfield coming from Stern. 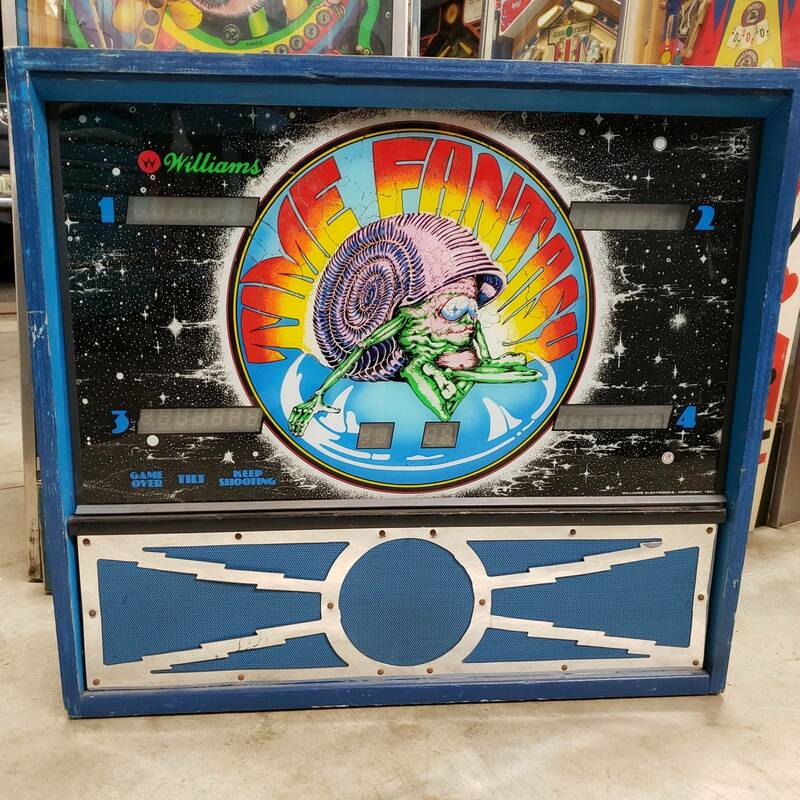 Should have new playfield in time for show, but will work with buyer to get them the new playfield once it is available if not there at show. 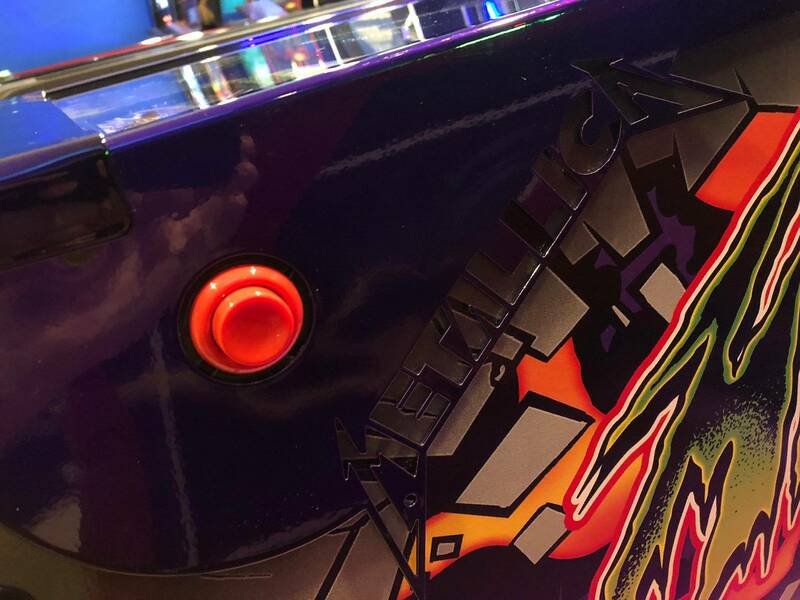 The game will be available at the end of the day Saturday (after the tournament). PM me if you have any questions. 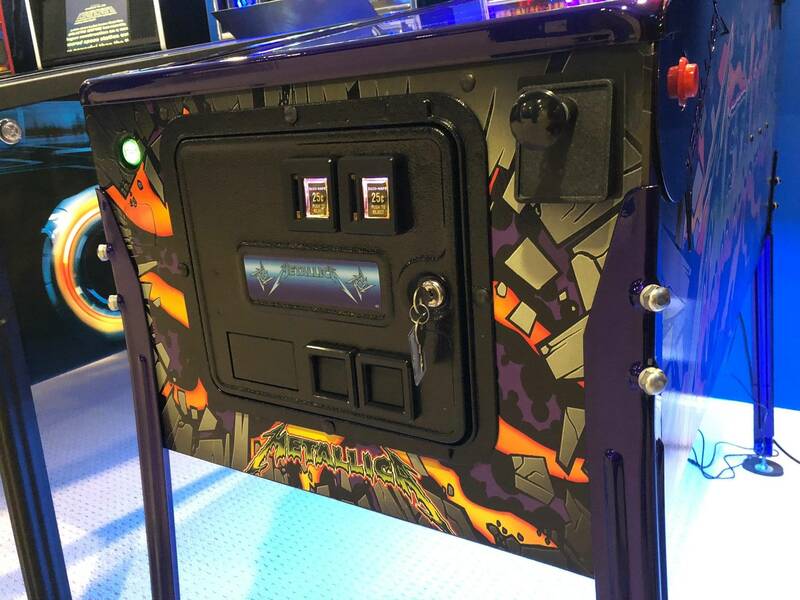 HUO Deadpool Pro will be in the tournament, an for sale for 5000. has shaker, art blades, pinstadium and best of all, a brand new playfield coming from Stern. 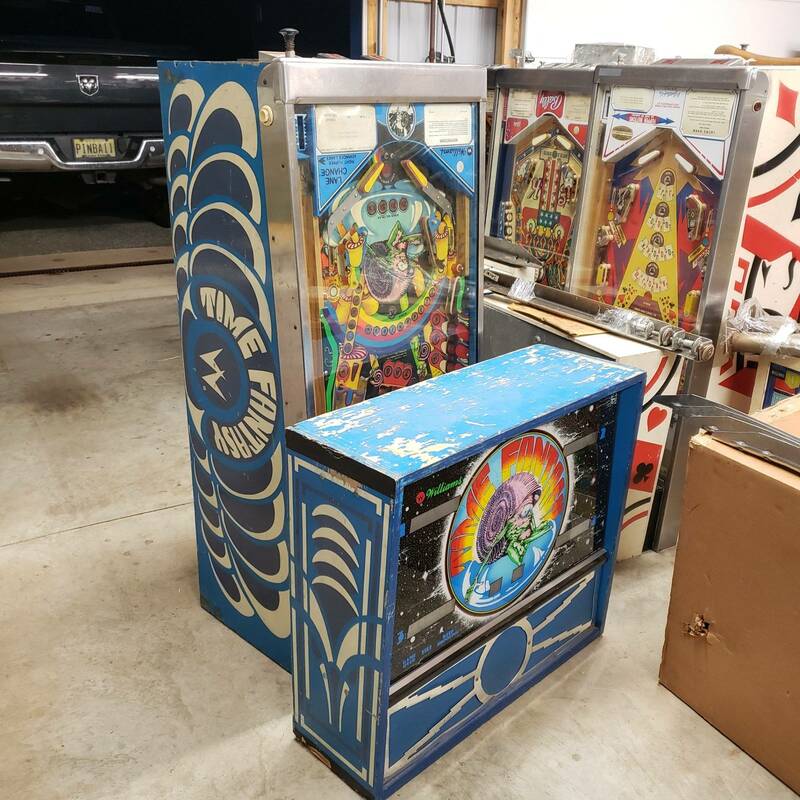 Will work with buyer to get them the new playfield once it is available if not there at show. Have a beautiful rare Inter-Flip Dragon I will bringing for Freeplay and Sale. 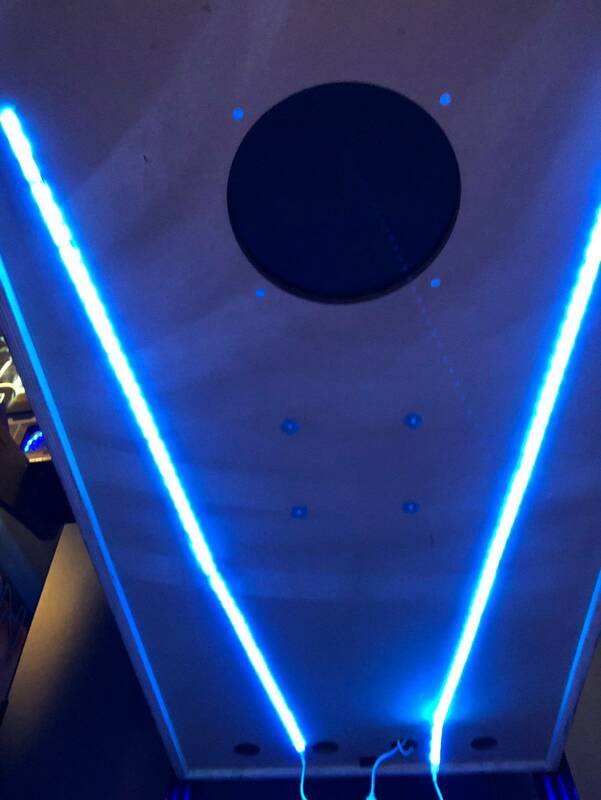 Wow...The PF looks awesome! Very nice. I am staying at the Holiday Inn! Say what? Not in the tournament again? The entire reason I would buy it is so that I could hear ERRRRRRRRRRRRRRRRRRRRRR!!! during the tournament. I would then bring it to every possible tournament going forward. 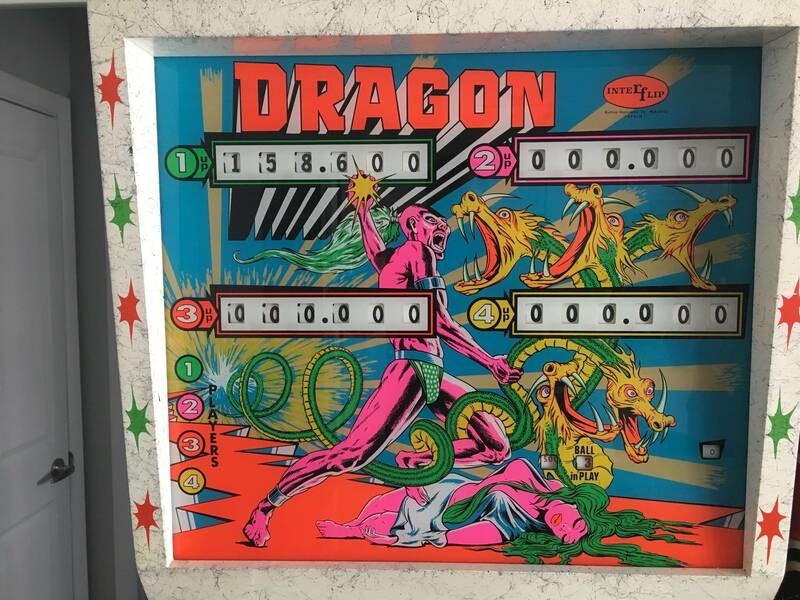 There's an old archaic by-law in the IFPA rules that puts a limit on the number of times Dragon can be used in Pro Circuit events on a rolling five-year basis so as not to dilute the awesomeness that is Dragon. 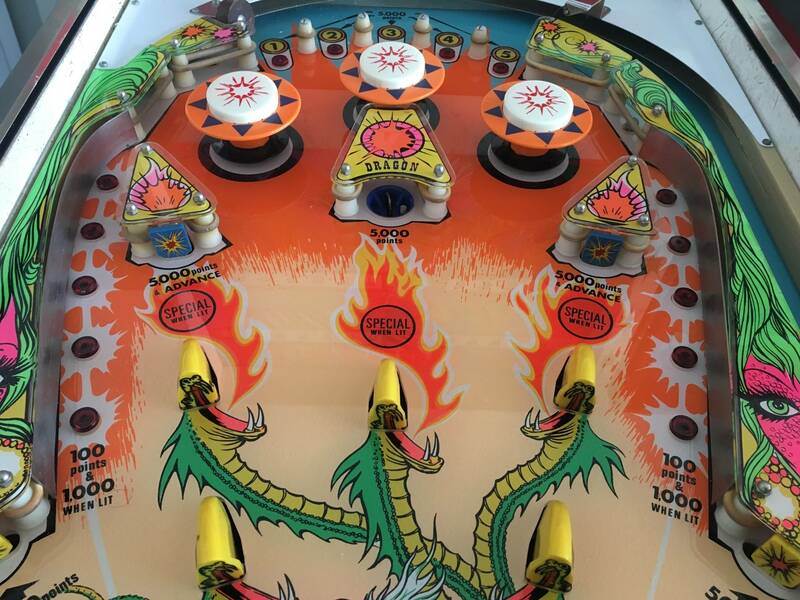 The PinFest tournament looks forward to having Dragon in the line-up again in the year 2023. Very very nice! I hope I get a chance to play it. 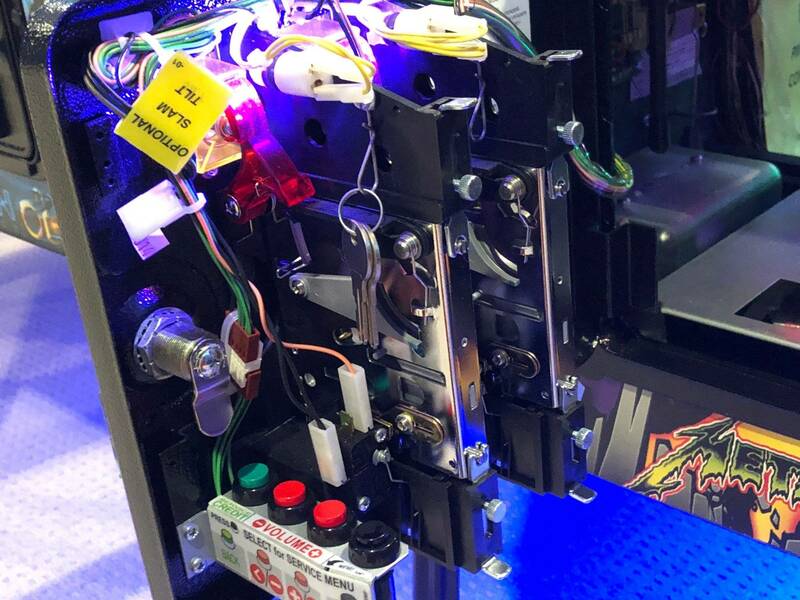 OK, since Pinfest is also other arcades I'll dare post this here. 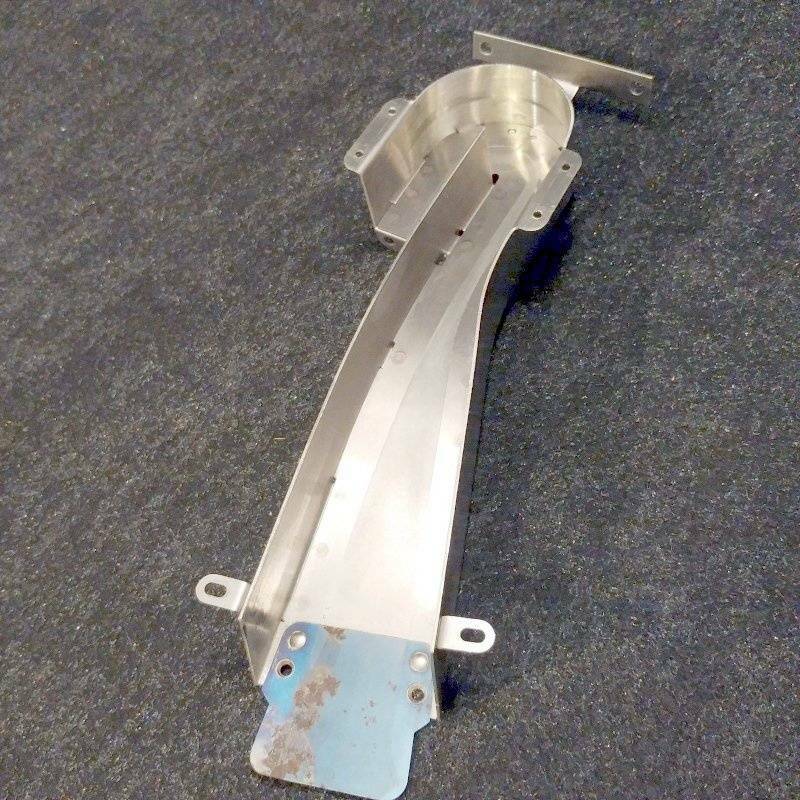 For sale, Lot of 3 Electrohome G07-CBO 19” monitor chassis. $90 for the lot. They are untested and have been on a shelf for years. 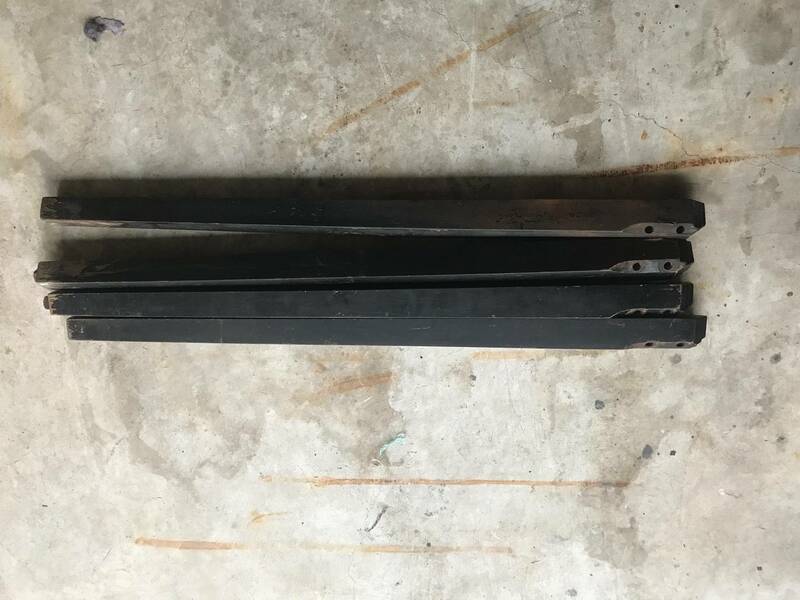 Two have the tops broke off the width coil. The other is intact. I'm pretty sure one was working but had a slight dip on one side. I'll be at the show Fri and Sat. 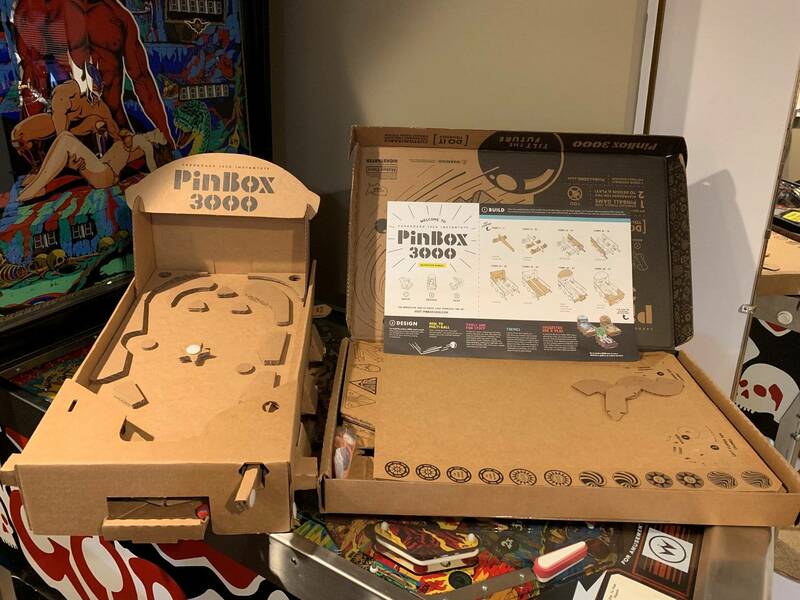 Anyone interested in a PinBox 3000? It was given to me and I have no interest in it. I'll bring it to Pinfest on Friday. Thank you John, it's very generous of you! 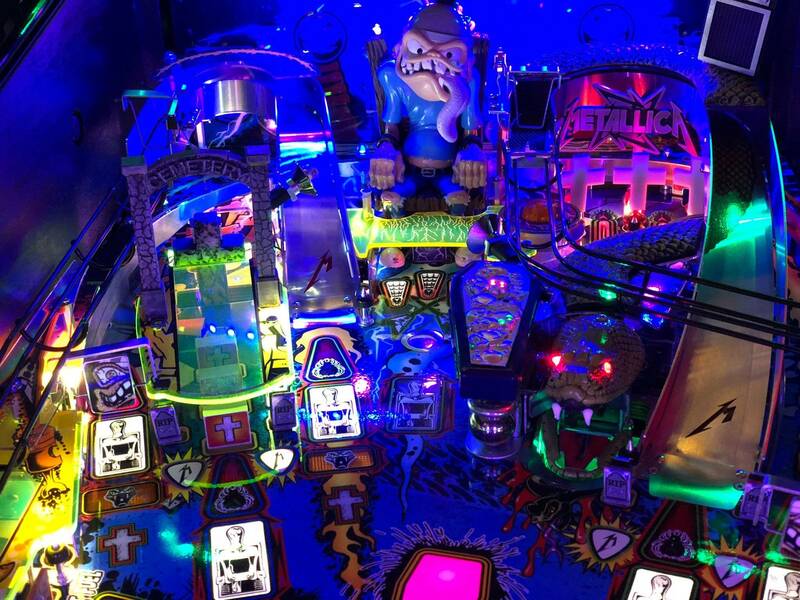 We've only been on pinside since October, but we've gained so much knowledge and enjoyment for the hobby through this site. The giving nature of the community is something special. I wish we found this years ago. No problem, happy to do it. Hope the kids enjoy it! What does a guy have to do to get a Sega Showcase game around here? 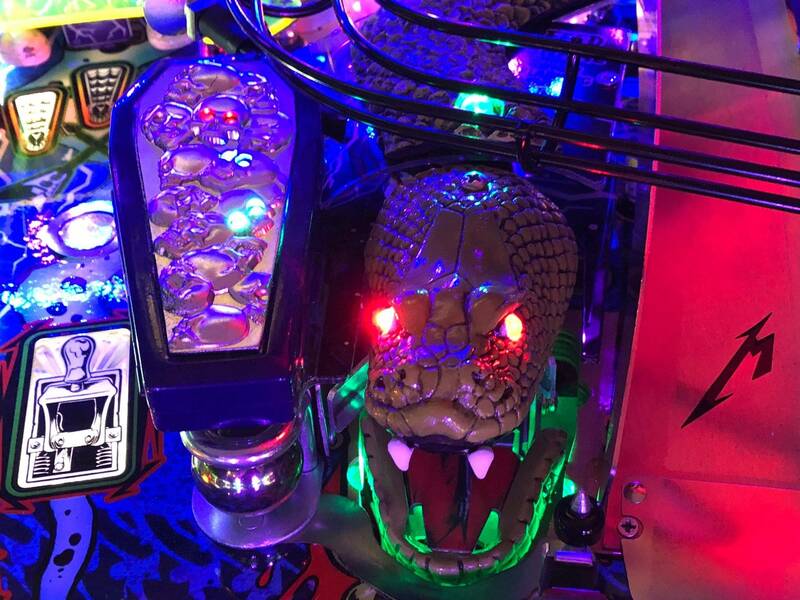 Have cash and pick up and Pinfest? 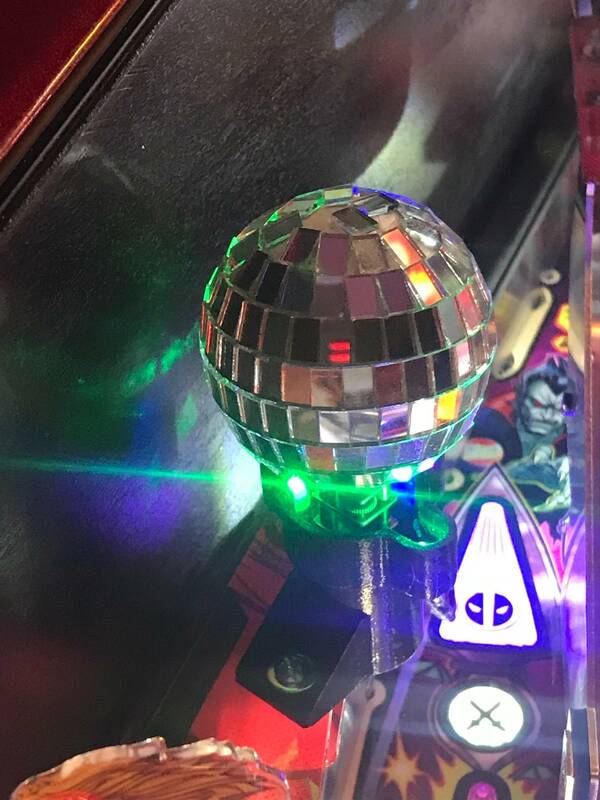 Oh, wait, I can do that - I have cash and can pick up at Pinfest. The cheaper the better - show me a working project Space Jam. Anyone want to sell their Diner and apply the reward to a Black Knight Sward of Rage? Looking for a Hang Glider........anyone?? 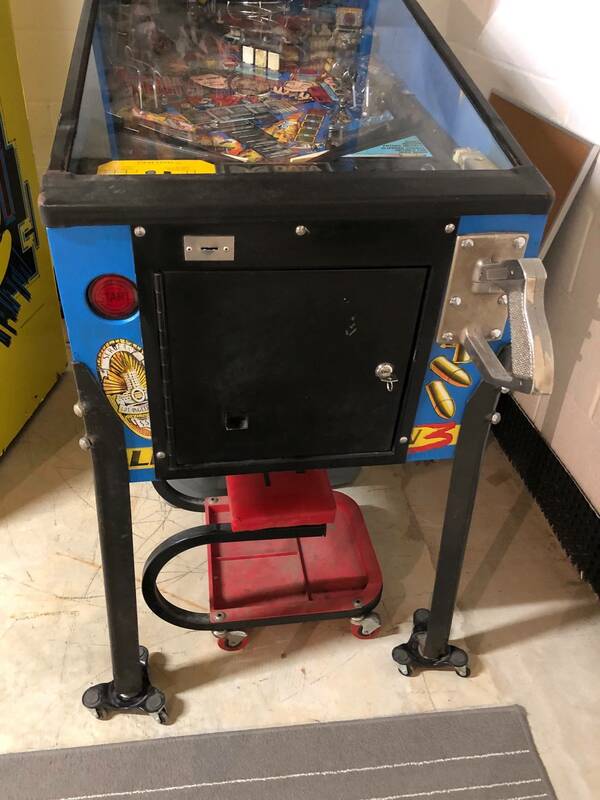 Anyone have a "Mr Vend" table top machine? 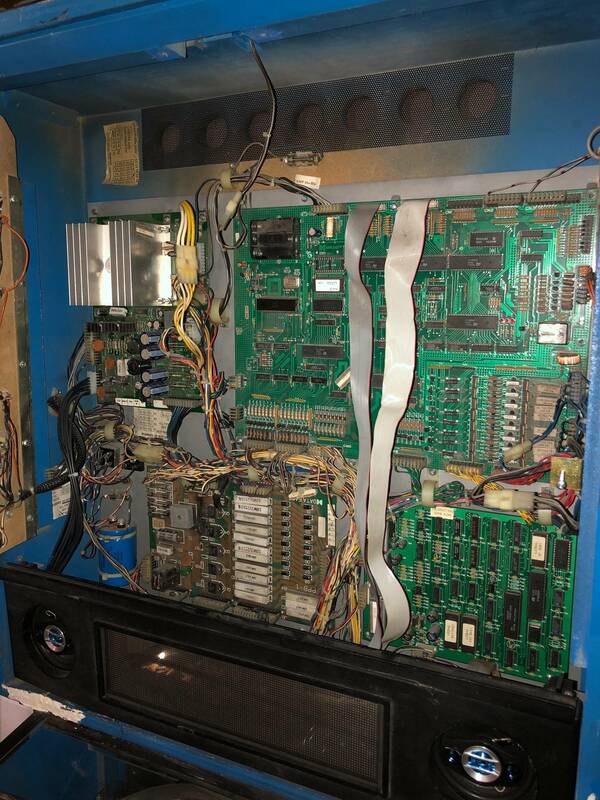 One of mine died (Brain test), could either use a another to fill it's spot or a project one for parts. 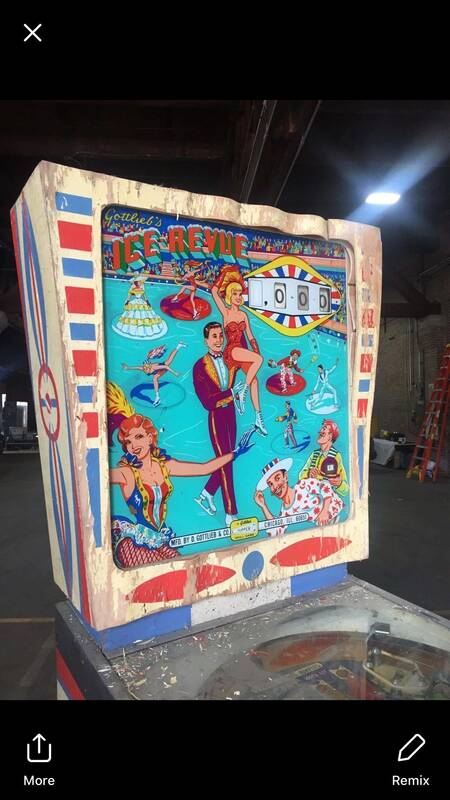 I have a Gottlieb 1965 Ice Review project that I would like to either sell or trade for a same 60’s vintage Bally project. These are all the pictures I have right now. I looked at this game in person. 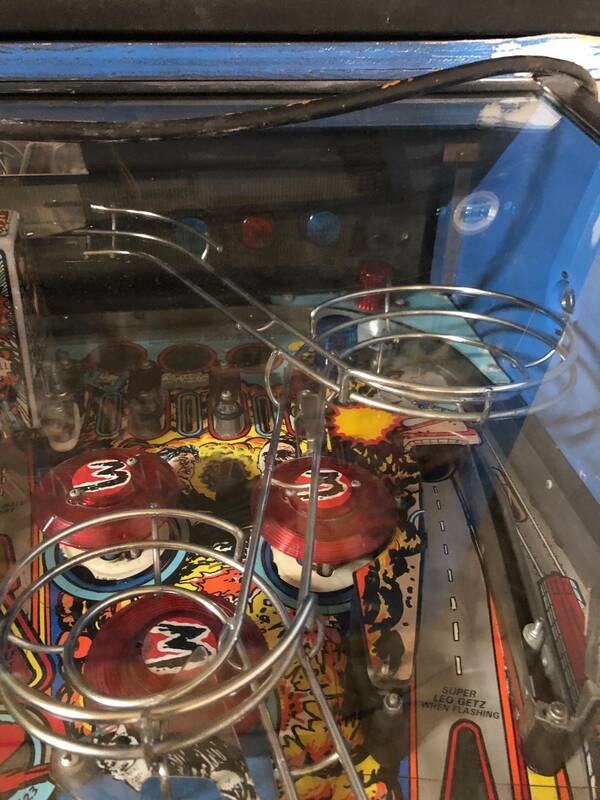 Before you go, be aware that the game does NOT power up, there is a long wear spot on the playfield just above the pop bumper, and the backglass has lots of freckles on it that look like the beginnings of flaking. 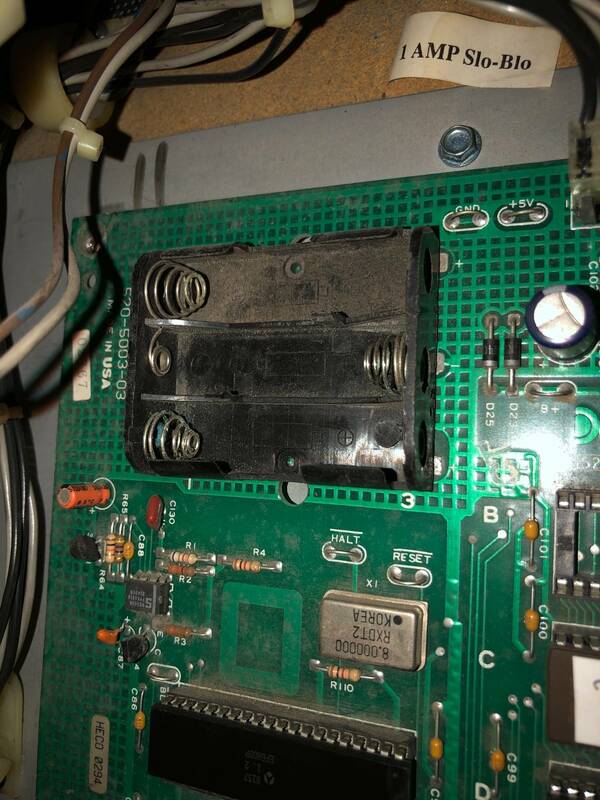 The mpu had signs of significant acid damage which was cleaned up a couple of years ago. The game could be restored but just know what you're in for before making a long drive. He turned down 250. 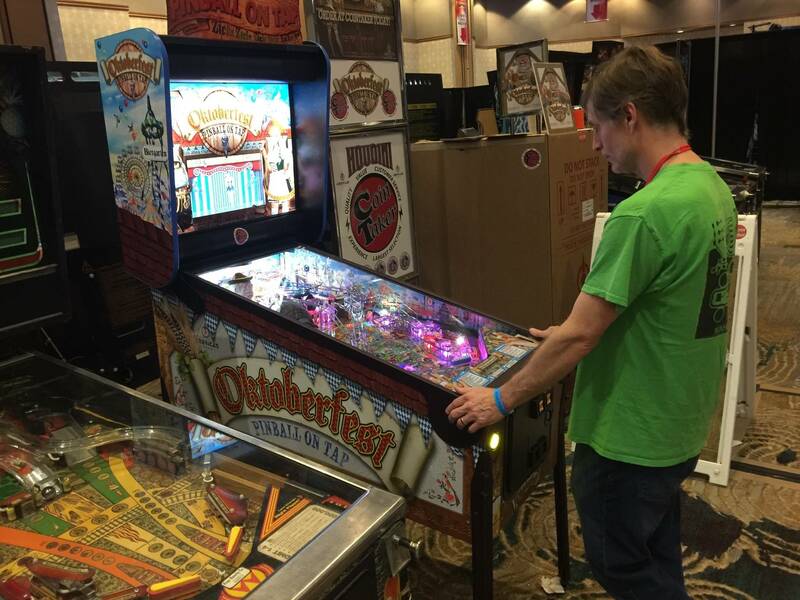 Following games can be brought to Pinfest and will be available in the Classic Pinball space. Email with interests. Still have my vector backglass for sale both pieces are in super nice shape I lowered the price to $270 I can bring it to Allentown if someone is interested thanks. 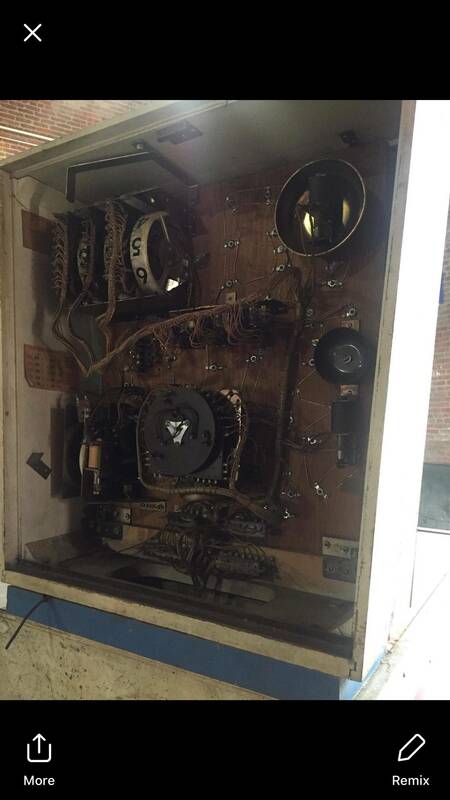 Demo man still available, see it posted in forum/market. Carlisle is about an hour and 40 minutes from pinfest.